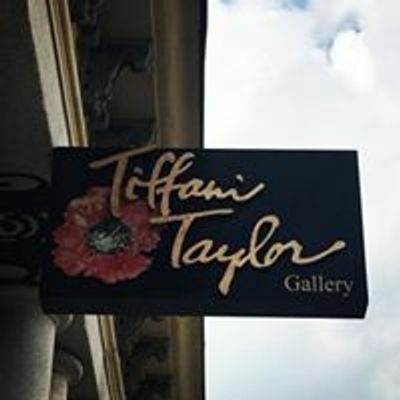 Tiffani Taylor Gallery is excited to announce that they will be teaming up with Helping Parents Heal to celebrate eight amazing years of business in the beautiful city of Savannah, Georgia. This collaborative soiree between Tiffani Taylor Gallery and Helping Parents Heal is the perfect way to enjoy art, company and support a great cause. The soiree will be held on April 11th, from 6:30pm to 8:30pm at the Tiffani Taylor Gallery, located at 11 Whitaker St, Savannah, GA 31401. Commissioned art prints will be available for purchase to help raise funds for Helping Parents Heal, as ten percent of these sales during the event will go to the organization. Attendees can enjoy complimentary libations and light refreshments at this magical event, all while enjoying the inviting atmosphere of the Tiffani Taylor Gallery. It is not always easy to express one’s condolences for someone’s loss. 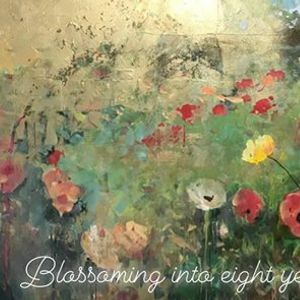 JeanMarie was spiritually lead to buy her painting from Tiffani: Tiffani’s piece contains symbolic beauty with nature, butterflies, rainbows and so much more that spiritually touches one’s heart. 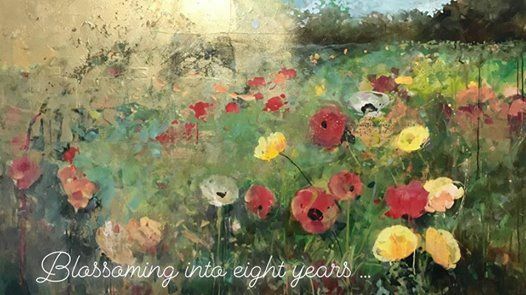 If you know someone who has lost a child or loved one and would like to express sympathy for their loss, this may be the perfect gift for them--Tiffani’s art is as uplifting as it is heartfelt. Tiffani Taylor Gallery will also be showcasing Tiffani’s newest body of work, with the unveiling of "New Works: An Exploration of the Sublime." Tiffani will be further discussing her new work at the event, so don’t miss this great opportunity.